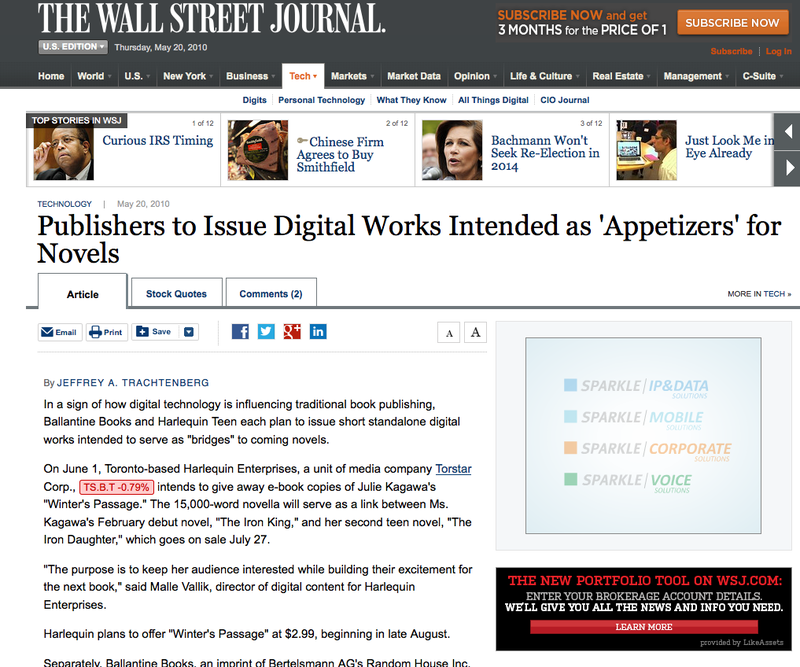 In a sign of how digital technology is influencing traditional book publishing, Ballantine Books and Harlequin Teen each plan to issue short standalone digital works intended to serve as "bridges" to coming novels. 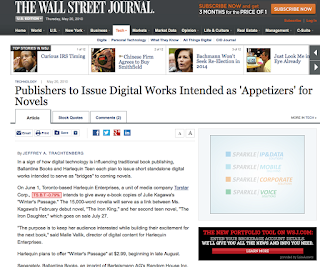 On June 1, Toronto-based Harlequin Enterprises, a unit of media company Torstar Corp... intends to give away e-book copies of Julie Kagawa's "Winter's Passage." The 15,000-word novella will serve as a link between Ms. Kagawa's February debut novel, "The Iron King," and her second teen novel, "The Iron Daughter," which goes on sale July 27. "The purpose is to keep her audience interested while building their excitement for the next book," said Malle Vallik, director of digital content for Harlequin Enterprises. Harlequin plans to offer "Winter's Passage" at $2.99, beginning in late August. Separately, Ballantine Books, (an imprint of Bertelsmann AG's Random House Inc.) plans a September publishing date for a 6,000 word digital short story, "The Balkan Escape," priced at $1.99, from thriller writer Steve Berry. "...it is a literary appetizer, inexpensive enough to attract potential readers who might otherwise not be willing to buy a new novel from an author whose works they haven't yet read, said Mr. Berry." 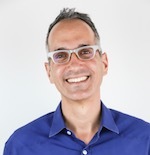 "Realistically, it would be hard to get something like this in print," said Matt Schwartz, vice president of digital marketing and strategy for the Random House Publishing Group. 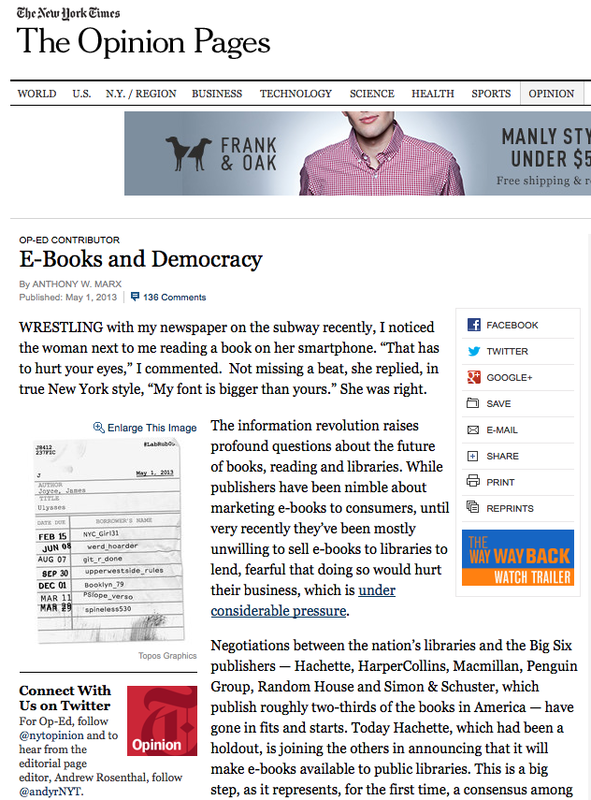 "But the e-book format is very flexible. What this does is offer an affordable entry point into Steve's world...It's the equivalent of buying a couple of songs online," he said. "You can read it in 30 minutes." And pure check-out-my-book moments of silliness. and even build the author into a celebrity (like John Green and his brother Hank's videos) have done. For writers and illustrators, there are so many ways to use the power of video! What other ways - and great examples - come to mind? 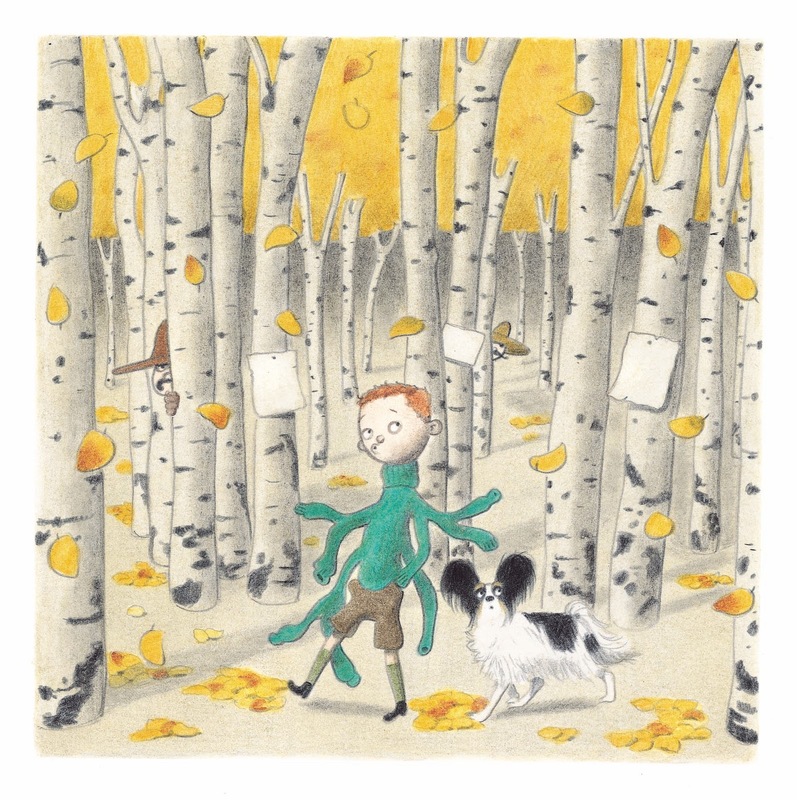 The 2013 Golden Kite Award for Picture Book Illustration goes to K.G. 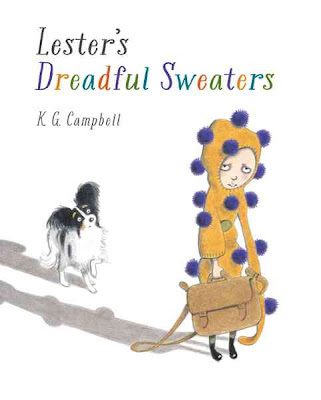 Campbell for his remarkable “Lester’s Dreadful Sweaters,” which he also wrote. Lee: Congratulations on winning the Golden Kite for illustration! K.G. : Thank you very much. It’s very exciting. Lee: Can you tell me about finding out that you’d won? K.G. : I got a call… basically just out of the blue, saying that I’d won. It’s not something that I would was expecting, at all. It just happened one morning and it was really thrilling. And oddly enough, it happened a day after I found out it had been made an Ezra Jack Keats New Illustrator Honor book as well. Lee: Something definitely struck a chord with this… it’s sinister and charming all at once. K.G. : (laughs) Well, that’s what I was going for. Lee: And I wanted to talk to you about that. People talk a lot about text having a voice, authors having a voice. But there’s a real visual voice to your illustrations. 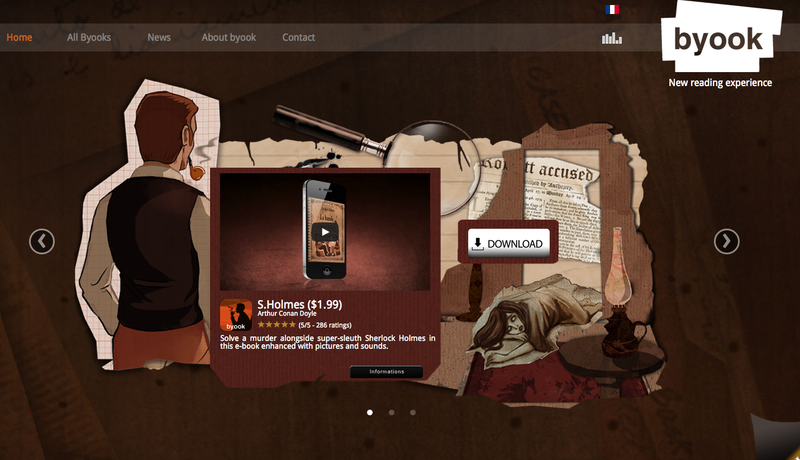 Can you tell us how you found that visual voice for this project? K.G. There are a number of influences funneling into that. Probably my starting point would be Gorey. And it may not show in the illustrations, but Lisbeth Zwerger is actually a big influence as well – she’s somebody else who combines the gothic with the charming, you wouldn’t think from her talents that her work would be a little dark, but I think psychologically it is. Another name to mention in terms of influence is Peter McCarty, who also works in colored pencil, and I like his style. Karen Powers, Art Director at Kids Can Press, was also quite influential in the way the book winded up looking, and she was very patient trying different things. Let’s see, what else? I’m very influenced by history, I’m an art history major, and I love historical settings, costumes, accessories, objects – odd objects that we no longer use. Glass plate [Historical] photography is a huge influence on me – I love that grainy… glimpse into another world which obviously wasn’t really like that – the medium made it look like that, but still it had a very atmospheric feeling. I actually would love to work in black and white, some of the work in my portfolio and on my website shows that influence more directly, but I just didn’t think that that would work for a picture book, certainly not my first picture book. Maybe when I’m a bit more established I can push the boundaries a bit more. So I didn’t go with that, but I did go with the 1930s, actually set very specifically in 1933. And I have a cupboard full of catalogs from Sears Robuck and Montgomery Ward from 1933, and every time I needed an object I would refer to those catalogs. Lee: So like the satchel that Lester is carrying on the cover? Lee: And even, I guess, the phone, right? K.G. : Yes, the phone is from the catalog. Lee: How cool. So, working on a project where you’re the author and the illustrator, how did the story evolve? Was it all text first, and then you did the images, or was it started from sketches? K.G. 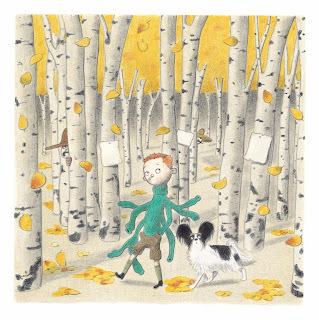 : I am a relatively new author and illustrator, not the only one obviously, but I think the usual story is that illustrators… I would imagine that most of them start as an illustrator and then become an author to provide a vehicle for [their] illustrations, and I am actually a bit of the reverse. I’m an author who happened to be able to draw. And after years and years of trying to publish a manuscript without success, I actually turned to my artwork, did some illustrating classes, launched my website and finally found a foothold in the industry that way. So when I handle a story it’s as a writer, usually not [as] an illustrator. I usually don’t start with images. Maybe an image might bring something to mind, but I certainly don’t sketch out the story, it is purely from the narrative. Where that story began, like so many stories, is from personal experience. In fact, Cousin Clara is based loosely on my own Great Aunt Sissy, who, she wasn’t really much of a knitter, but she was a terrible present-giver. And I always remember anticipating her Christmas and birthday gifts, and Easter for some reason, with a level of dread. K.G. : And she did, in fact, have a mustache. And what I couldn’t portray unfortunately in the illustrations, is she had a leg that wouldn’t bend. I guess she had polio when she was very young. She didn’t have a wooden leg, but she had one leg that did not bend. So she was quite a gothic character! Lee: And in a lovely parallel of life and art, her dreadful presents became your remarkable picture book. Lee: Just like Lester finds some redemption in his own character, I guess. Can you talk a little bit about Lester’s arc? From having clowns on his “List of Suspicious Stuff Starting With C” to where he ends up? K.G. : Sure. To be quite honest, in the beginning – I’m relatively new to this industry… and I think the story originally was a little light. It was specifically about the sweaters and Aunt Clara and Lester wasn’t very developed. So when Kids Can picked it up and I started working with Tara Walker, who was the original editor for the book, and then Yvette Ghione came on board shortly after Tara left, and also my agent, Lori Nowicky, we talked about beefing up Lester’s character. And I already had the skeleton of the story, so I thought to myself, what would make this even worse for this particular… it’s a horrible thing to happen to anyone, but what would make it really poignant? And I came up with this sort of O.C.D.-type, fastidious kid, who was very particular about what he wore, which is why you see him measuring his socks. Obviously you’ve got the bow tie… you’ve got his strange collection of things. I saw this boy having a very elaborate sense of order, very particular about everything, and so the arrival of this crazy character... basically messes up his world. Lee: Okay, I didn’t know it. K.G. : Nor did I. Kids Can is a Canadian publisher, so that’s where that comes from. I had no idea what they were talking about, either. Lee: Was there digital work done as well? K.G. : No, there wasn’t. It’s water color base with colored pencil on top. Lee: And what was the scale you worked on? K.G. : I think I worked at about 120, and I regretted it, to be honest. I mean again, this was my first picture book… and I felt that particularly in the more heavily peopled illustrations with lots of detail, it lost some of its crispness, it became a little busy. Are you an artist, too? Lee: No - well, with words. K.G. : For visual art, there’s always going to be a bit of a lapse, a little bit of a difference between the original artwork and the finished artwork, and making that published art look as close to the original as possible is the great task that art directors face. In the future I probably will be working to scale or very close to it because I think I’ll have a better idea of how it will look in the end. Lee: We love your book and I look forward to meeting you at the Summer conference! K.G. : Yes, it should be fun. Lee: Anything else you wanted to say? K.G. : Thank you very much for the award to SCBWI. It’s very exciting and I can’t believe that it happened on my very first book. See K.G. receive his Golden Kite Award at the Golden Kite Luncheon, and be part of all the amazing business, craft, inspiration, community and opportunity by joining us at the SCBWI Summer Conference in Los Angeles, August 2-5, 2013. Details and registration information are here. Smart PJs are pajamas covered with different patterns of dots. Scan a pattern (like a QR code) and it selects a "fun and educational" bedtime story on your smartphone. 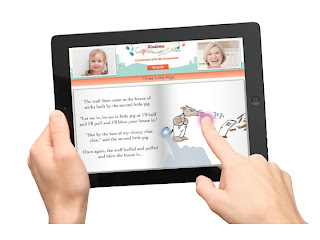 BYOOK offers "snack reading" - short smartphone and tablet reading experiences that "bring books to life with graphics, animation, and sound effects." Kindoma Storytime is an app that combines reading an e-book online with video chat so you can read the same book with someone a world away. It even lets you see what the other person is pointing to. Are these gimmicks or inspired forays into the new frontier? Or, just maybe, both? The Sid Fleischman Humor Award is for authors whose work exemplifies the excellence of writing in the genre of humor. The SCBWI established the award to honor humorous work, so often overlooked in children’s literature by other award committees. This year's winner is the remarkable (and remarkably funny) Mo Willems! Lee: At this point you have a raft of well-deserved awards, with this Sid Fleischman Award the latest! I imagine with each award and accolade, you can be buoyed up in that Sally Field "you like me, right now, you like me!" way and/or you could feel enormous pressure and self-doubt about your next project. How do you allow in the good without the pressure taking over? Mo: I find it easiest to be genuinely appreciative and remember the recognition is for the book, not me. The book may be proud of itself, but I have to get back to work. 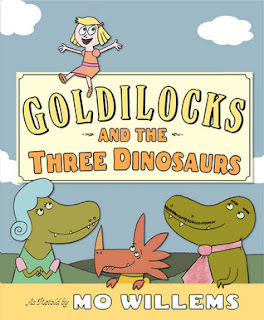 Lee: If "yucks are bucks" as they say in Hollywood, then I seriously didn't pay enough for my copy of "Goldilocks and the Three Dinosaurs." Just reading your alternate story ideas on the opening and closing endpapers - from "Goldilocks and the Three Mosquitoes" and "Goldilocks and the Three Whales" to "Goldilocks and the Three Accountants" I laughed out loud again and again… and again! Were there hundreds and hundreds of these that you came up with and by a process of winnowing you picked the craziest 122? How do you judge what's funnier than what? Are you putting yourself in readers' shoes or are you choosing what YOU think is funniest and confident we'll agree? Mo: I write as much as I can, then take the unfunny stuff out. "ONCE UPON A TIME, there were three Dinosaurs: Papa Dinosaur, Mama Dinosaur, and some other Dinosaur who happened to be visiting from Norway." "The three Dinosaurs went Someplace Else and were definitely not hiding in the woods waiting for an unsuspecting kid to come by." While the illustration shows us the Dinosaurs sneaking off to do exactly what the text says they're not. As you craft a story, are you conscious of the different ways you're being funny? Do you think thinking about how to be funny is helpful, or is all that thinking just over-thinking the whole thing? Mo: I am a formalist and a structuralist, so, yes, I am aware of the various options in the comedy tool-bag. I like to think my quarter century of work in television, film, comics, theater, and books has helped hone my skills. But if I do my job properly, my audience should think I’m just making it up as I go along. And we'll just keep reading, and laughing, and being huge fans. Thanks, Mo - and congratulations! 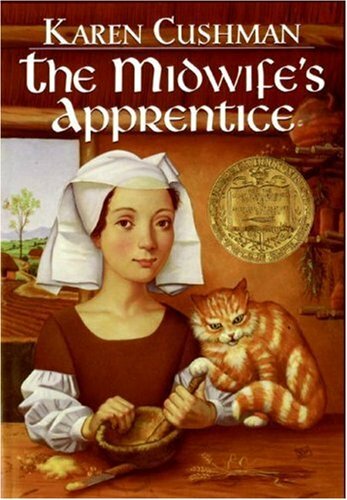 She won the 1996 Newbery Medal for The Midwife's Apprentice, and has since published six more wonderful novels... and counting! "It took me forty-nine years of preparation—of reading and writing and making up stories in my head—to be ready to write. Now I do not intend to stop." "...encourage and celebrate late bloomers like me, who didn't start to write until age fifty. But then I bloomed, and I'd love to see others do so as well." The winner will receive $500 in cash, and free tuition to any worldwide SCBWI conference. The first winner will be selected this year and announced along with the other Work-in-Progress Grant recipients. Because this grant was started after the applications were due, SCBWI will be contacting finalists to see if they are eligible for this additional award. For future years, you won't apply directly for this award, rather it will be chosen from among the Work-in-Progress grant entrees. To enter you will indicate on your application that you are over 50 and would like to be considered for the award. It's wonderful to have a luminary in our world of Children's Literature reaching out to help others bloom, too! Make sure to check out all the awards and grants offered by SCBWI on the main SCBWI website here. 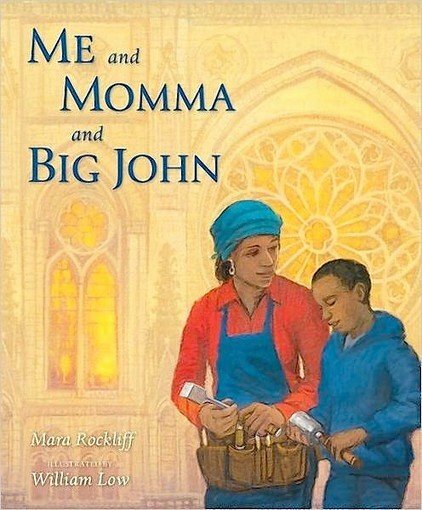 Mara Rockliff has won the 2013 Golden Kite Award for Picture Book Text for "Me and Momma and Big John." Lee: Can you tell us about finding out you'd won the 2013 Golden Kite Award for picture book text for "Me and Momma and Big John?" Lee: The arc of little John's understanding of his mother's contribution to building Big John (the Cathedral of Saint John the Divine) gives the story such emotional power. Was this always the narrative line, or did it evolve as you set out to write this story? Mara: Actually, it took me a long time to find that central conflict. The story was inspired by a real stonecutter named Carol Hazel, and she’d told me lots of interesting things about her work. For instance, she explained that every stone had to be cut exactly right, down to the smallest fraction of an inch, or else the wall wouldn’t be straight. Cutting her first stone took her two whole months—and when she finished, the master stonecutter threw it on the ground and made her start all over. I tried to write the story around that, and it was terrible. I finally gave up and put it away. Then, around six or eight months later, I pulled it out again and realized what was wrong. The story was supposed to be John’s story, but the conflict was his mother’s, not his own. I had to go back and find a problem from the child’s point of view. Lee: That's fascinating - and such a good lesson about finding a problem from the child's point of view. There's a numinous, magical quality you evoke in the scene where the family visits Big John and "each voice lifts up the next, and then the next, each new one held up higher by the ones that came before. Beside me, Momma's voice joins in the song. I take her hand, and I sing, too." Were you conscious of keeping your language spiritual but not specifically religious? Mara: Ha, well, I guess that’s what you get when a lapsed Jew writes a book about an Episcopalian cathedral! I wanted John to have a small epiphany, a moment where he realizes it doesn’t matter that his Momma’s work on the cathedral is anonymous, that just being part of something great and beautiful can be enough. The language was meant to parallel the building of the cathedral—each voice lifting up the next, the way each stone holds up the next. It’s about community…but maybe it is spiritual too. Lee: Pacing is so important in a picture book. What techniques do you use to figure out if a manuscript's pacing is working out before you hand it off to an editor and illustrator? Mara: I just go by feel. My early drafts always feel “off” to me. Then somewhere around the third or fourth or fifth draft, the story finally snaps into place. (If it ever does—plenty of stories never do.) I know some people like to read their drafts aloud or make a dummy. Sometimes I do page breaks to make sure there are enough different scenes to illustrate, but the page breaks in the finished book never end up where I expect them to. Lee: Your author’s note, “About Big John,” is so kid-friendly—can you talk about writing that? Mara: I’ve heard complaints about my author’s notes being more interesting than my stories! Author’s notes are fun to write because that’s where I get to stick all the cool facts that didn’t fit into the storyline. Also, I started as a textbook writer, so straight exposition is my native tongue. Sometimes I write the author’s note while I’m still struggling with the main story. 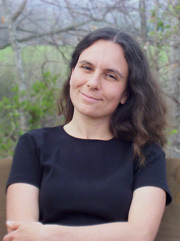 Mara: I joined in fall 2000, after going to a week-long children’s writing workshop led by SCBWI board member Cheryl Zach. I was very glad I did. 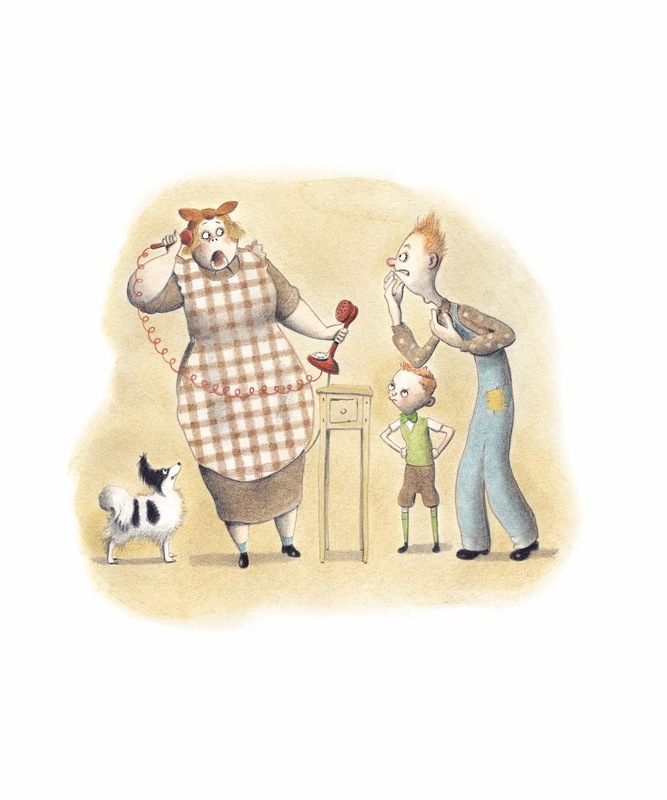 After reading calls for submissions in Connie Epstein’s “Publisher’s Corner” in the SCBWI newsletter, I sold a beginning reader to Children’s Press and a picture book to a new publisher called Sylvan Dell. Those were my first trade sales, and I’ve stayed with the SCBWI ever since. 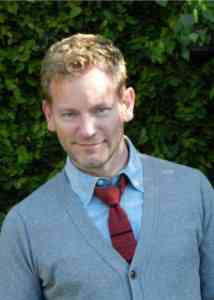 Lee: What's the best piece of advice you've received about your career writing for children that you can share with us? You can find out more about Mara Rockliff and her books at her website. If you'd like to see Mara receive her Golden Kite Award and attend her workshop, "Writing the Historical Picture Book," join us at the 2013 SCBWI Summer Conference. You can find out all the conference information and register here. 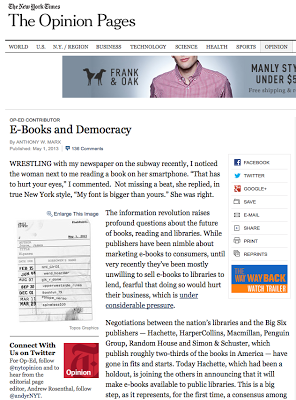 "This is a big step, as it represents, for the first time, a consensus among the Big Six, at least in principle, that their e-books should be made available to library users." "to ensure that the information revolution provides more, not less, access for the public"
E-books in libraries. It's the future. And it's happening now. 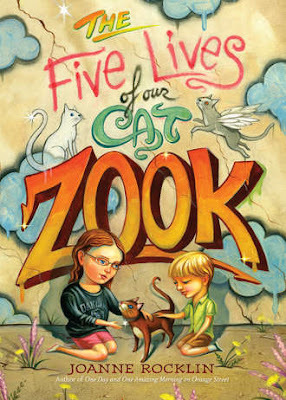 Joanne Rocklin has won the 2013 Golden Kite Award for fiction for her Middle Grade novel, "The Five Lives Of Our Cat Zook." Lee: Can you tell us about finding out you'd won the 2013 Golden Kite Award for fiction for "The Five Lives Of Our Cat Zook?" Joanne: I have taken to calling SCBWI “my beloved SCBWI” - corny and maudlin, I know - but that’s how happy I am to be honored by an organization of my peers. I will be everlastingly grateful to the award committee for appreciating a book I so loved writing. Lin Oliver’s name came up on my caller ID and I had no idea why she was calling. She came right to the happy point. I began blubbering something about how great it must feel to be her, making those terrific phone calls, how long I’d been writing and how I’d sure paid my dues. She agreed on all counts. Lee: Oona has such a strong, unique, wonderful voice. 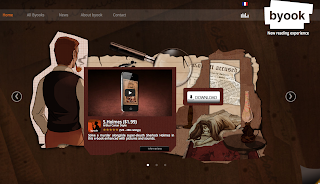 Can you share with us how the character evolved onto the page? Joanne: When I sent my previous novel, ONE DAY AND ONE AMAZING MORNING ON ORANGE STREET to my terrific agent Erin Murphy, she asked if I had another one she could look at. “Oh, of course,” I said. Actually, all I had was one phrase: “cats have nine lives.” Not exactly a novel. But I certainly didn’t want to be accused of telling whoppers, so I just plunged in desperately. There is something to be said for desperation! I knew that the book would involve stories told by my main character about a cat’s previous lives. And since these stories would be told in third person, then the main character would have to tell her own story in first person. Having made that initial important decision, Oona’s voice came to me very quickly and naturally. She was a storyteller, an observer, and dealing with the crisis of a sick cat, a turning point in her young life. I once watched a segment on the Ellen Degeneres Show in which kids presented their hilarious, original inventions. I thought it would be fun for Oona to do that, too. She invented the incredibly useful Family Straw.Then she moved on from inventions and began to share “theories”: her Rainbow Whopper Theory, her Hope of the World Theory, and many more. I quickly knew I was about to spend some time with an interesting girl, a girl with her own ideas, lots of flaws, and a heart filled with sadness and love. You are so right: Oona “evolved”. I’d never met her before. She is her own person, although she does remind me of many middle graders I’ve known, including myself. But I was never as bravely outspoken. Lee: The story balances issues of loss with lots of humor - were you conscious of playing those elements against (or maybe I should say 'with') each other? Can you go deeper into sadness and loss if the book is funnier? Joanne: No, I can’t say I made a conscious decision to balance humor and loss. That is just the way I write, combining life’s funny moments and realizations with serious issues and themes. I myself do like to go deeper into sadness by using humor. Otherwise the writing day can be difficult. (My next book, FLEABRAIN LOVES FRANNY, takes place during our past heartrending polio epidemics. One of my main characters is a talking flea.) But all in all, I do find human beings funny, especially kids, and especially the middle grader. I love the quirky combination of naive misunderstandings, honesty, and fresh observation. It’s so poignant, and yes, naturally funny! Like Oona, I once thought “You Ain’t Nothin’ But a Hound Dog” was a song about Elvis’s sad dog. Lee: Oona tells a lot of 'whoppers' (that are even rainbow-color ranked according to the type of whopper they are!) You've written a work of fiction - dedicated to your own father - that in ways feels like it is more true than non fiction might have been. What's your view of truth and fiction, and maybe truth through fiction? Joanne: I’m often asked if my stories are “true”. None of them are, in the sense that nothing I have ever written has ever happened, plot-wise. Every time I begin to write something that has actually occurred in my life, the event is transformed by the writing process. That’s ok with me. I write fiction, after all. But I’m happy to know that my stories are considered “real”, in that readers connect viscerally with the characters, setting, feelings and themes. I try very hard to make that happen by using rich details, and by deeply understanding my own characters. In ZOOK, I’d often write an entire scene and then delete it. “Uh-uh. Oona wouldn’t do that,” I reminded myself. I also believe that the questions of my book are very real, especially to middle graders: What is true love? Is it ever ok to lie? How do you carry on after a loss? But I do have to backtrack and admit that one aspect of the book is true. We did rescue our own cat, Mitzie, from the streets of Oakland. She was dirty, starving and with a bb gun pellet in her flank, just like Zook. And from my own experience, and the experience of my own kids, the illness or loss of an older pet, one with whom you’ve been living 24/7, is not a “lesser” crisis, but the real, true thing. True love. I wanted to write about that. I dedicated the book to my father who died this year at 93, a little while after ZOOK was published. He was not the model for the dad in the book, but he was a voracious reader and excellent writer. Lee: There's so much growth to Oona's arc, but there's also a lot of plot elements that had to come together just so. How did you organize the story as you were writing it? Did you outline it all first? Joanne: I enjoy thinking about the writing process, as a (former) psychologist, and of course as a writer in the thick of it. It’s an amazing, almost-magical process, and everyone’s is different. I never outline at first. That’s because the story grows organically while I am writing it, as I get to know my characters and understand how one event led to another. I usually begin with “a good idea”: “cats have nine lives”, for example, or “an eccentric man runs a chocolate factory.”(OK, that last one isn’t mine!) The “cats’ lives” idea for ZOOK led naturally to one cat’s and one family’s story, involving a sick cat and children dealing with the loss of their dad. The concept also directed me to Oona’s desire to tell her little brother some stories about their cat’s other lives, in order to give him hope. This, in turn, inspired me to include one important story that she has been trying to forget. And I’ve often wondered where my own rescued cats came from in terms of the other humans in their lives. As soon as I got the idea for the character whom Oona calls “The Villain”, the story and Oona’s development took off. In other words, the rough draft is a series of discoveries and false starts and decisions - a slow, freewheeling, intuitive process. Perhaps one can compare it to “sketching”. I don’t stop to make it perfect but just forge ahead, writing notes to myself in the margins for the next draft. But even in the rough draft, I try to make the details rich: not just a flower, but lavender and catmint; not just a cat’s markings, but markings in the shape of Oakland and California! Eventually these details begin to connect and echo one another, helping to shape the plot and illuminate themes.. It is usually towards the end of the first draft or the beginning of the second draft that I am able to jot down a rough outline, but that’s because I know my characters and their dilemmas and have fallen in love with them. But I wouldn’t have this outline if I hadn’t courageously written an awful first draft. Writing, for me, involves a lot of writer’s ‘faith’ that the plot will eventually fall into place after several drafts, based on a deeply ingrained sense of story from a life of constant reading. Lee: What a fascinating way of thinking about it, getting out that first draft in a mindset of discovery and only then having an outline take shape! The story of the book concludes, and then you have one more chapter, which might have been an author's note, but it's still in Oona's voice - it's almost like the character doing an author visit. Can you share about that? Joanne: The last section is not really a chapter, but another one of Oona’s theories, perhaps the most important one: THE THEORY OF STORY-MAKING FROM OONA AND THE GREAT REBUS-MAKER AND WHOPPER-TELLER. It is what it says - a theory about making stories. 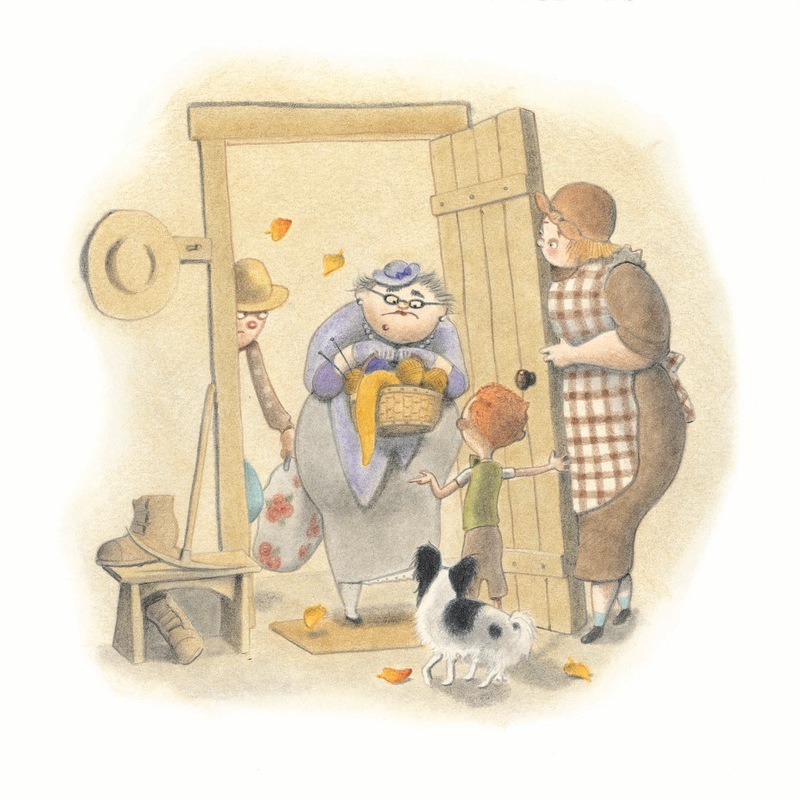 The Great R-M and W-T refers to Oona’s late father, who has told her his versions of most of the stories. He has also taught her how stories can grow and change with the teller, and vice versa. And she and her brother learn how stories have the power to cement relationships, bring hope and healing, and offer tremendous comfort through humor. Each of the eight points of the theory was used by Oona throughout the novel, and by me, every time I write one. Lee: When did you first join SCBWI, and can you tell us how that's helped you in your journey as an author? 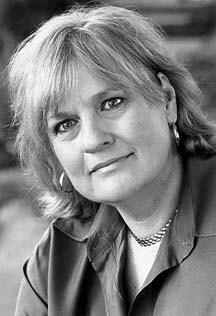 Joanne: I first joined My Beloved SCBWI when it was merely SCBW, back in the late 70’s. I remember going to my very first conference; Eve Bunting was one of the speakers. Later I took UCLA Extension classes with Eve, and Sue Alexander, and Myra Cohn Livingston, all active members of SCBWI. I was the editor of Kite Tales for several years (the newsletter of SCBWI/LA) and even won the Sue Alexander Service Award. I don’t believe I would be published today without the confidence, encouragement and information SCBWI gave me. I realize I’m talking about SCBWI as if it were the Wizard of Oz! It’s actually an entity made up of the most wonderful, generous, interesting people in the world. Writing is solitary, writers are often introverts, and you need good people like that in your life. And one of my proudest creative accomplishments is that I gave The Schmooze its name. Lee: We have you to thank for our Schmoozes being Schmoozes and not 'gab-fests'? Brava! What advice can you share with other writers who are working on novels for MG readers? Joanne: Middle grade readers are unique, as are their counterparts who are reading picture books, beginning readers and YA. I think that story characters need to reflect the needs of their readers. Children’s authors must be very clear about the age they are writing for and about. 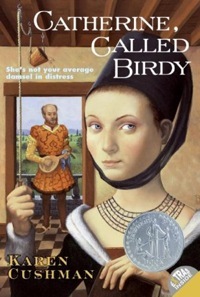 So - read scads of middle grade novels, get to know kids of that age, and most importantly, tap into your memories of your own middle grade self. I myself don’t have to dig too deeply--she is very accessible because that was an intense reading, writing and pondering time for me. I still have my old letters, returned to me by my best friend when we were ten years old. My workshop at the conference will look at the ways in which each genre in children’s literature reflects particular developmental needs and characteristics. Lee: Any ideas yet for what you are going to wear to the SCBWI Summer Conference's Saturday night's BLACK AND WHITE BALL? It should be great fun, and a treat - like getting to see you awarded your Golden Kite! Congratulations again! Joanne: That will be easy. Half of my wardrobe is black. The other half is flannel and wildly patterned (think pajamas). 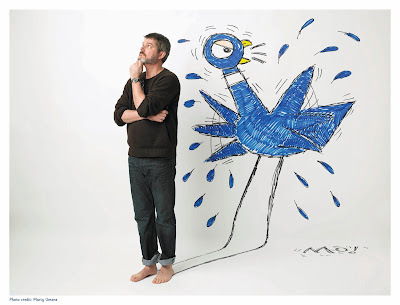 Thank you, Lee, and SCBWI, for giving me the opportunity to answer these thoughtful questions. Can’t wait for the conference--every bit of it! To find out more about Joanne and her books, visit her website. 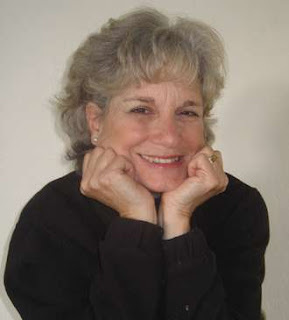 If you'd like to see Joanne receive her Golden Kite Award and attend her workshop, "Genre and the Child Reader's Development Needs," join us at the 2013 SCBWI Summer Conference. You can find out all the conference information and register here.